A beautifully concise presentation of where the "memristor" came from in a specific project. It would benefit from a little mathematics, in my opinion. For that, check out the Wikipedia entry and the article by R. Stanley Williams. The memristor is a new fundamental type of circuit element, comparable to the resistor, capacitor, or inductor. This blog was dead for about 24 hours thanks to obscure issues with how blogger.com deals with "custom" domain names. Or, maybe readers actually prefer seeing a big "Error 404" message instead of the normal drivel? For better or worse, we're back. Thanks very much to the rapid advice provided through the Blogger rump blog called "The Real Blogger Status". Dan KB6NU is right to draw attention to the (radical?) 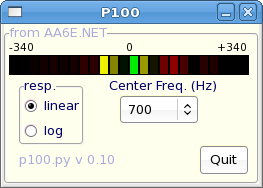 proposition that ARRL is not identical with ham radio. I tried to make that point in my comments on the ARRL Strategic Plan. It's not just a question of hubris. It's a hard problem, since the League has a wonderful history of co-evolving with Amateur Radio from the earliest days. Many of us regard it as the primary voice of A.R., especially for regulatory and PR matters. On the other hand, the League is a big-time technical publisher and purveyor of services to hams, and it has parochial competitive interests, as any organization would. On the whole, I think they do reasonably well at making a balance and leaving some oxygen for others to breathe. But it was clear in the old strategic plan, that the Board and Management have trouble seeing their organization as something other than the soul of ham radio. There is an interesting discussion over at KB6NU: http://kb6nu.com/what-do-you-think-about-the-arrls-website/. The OMS utility monitor project is now called HAUS (Home Automatic Utility System). Going for the big time, here! More information about operating experience and preliminary conclusions for the project will be coming. Faced with the decision to upgrade my Fedora 8 installation to Fedora 9 or the forthcoming Fedora 10, I made my decision. I am off the Fedora treadmill now! We have become an Ubuntu 8.04 household. The "Long Term Support" feature of this release (until 2011!) was very appealing. Yes, my oil usage, my carbon footprint, and ways to evade the financial meltdown. All these have taken me away from ham radio for the moment. My application was a "Home Utility Support System" - a combination of hardware and software that would monitor operation of the home heating and hot water systems with an eye toward analyzing operations and reducing heating costs. A prelimary report is available here as a PDF. The installation is shown in the photo at left. (Click on photos for high res.) Physical I/O is through Ethernet connected to a WiFi bridge that hooks into the household LAN, and through the USB to an inexpensive DLP-IO8-G 8-channel data acquisition and control module from DLP Design. I built a number of interface devices that monitor the state (on/off) of the oil burner, the hot water circulator, and our three heating zone circulators. (Our hot water is supplied indirectly through a heat exchanger that receives hot water from the furnace "boiler".) The DLP interface also supports DS18B20 digital temperature sensors. I use two of these to monitor outside ambient temperature and hot water outlet (pipe) temperature. 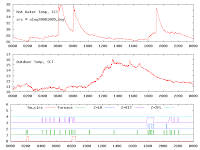 The software is all developed in Python to log data every 30 seconds and to do analysis and data plots once a day. A sample run is shown here, as produced by gnuplot software running on the OMS400. The computer also runs the standard Apache web server to make data available to any authorized user anywhere on the Internet. The work is still in progress, but I have a preliminary interesting, if depressing, result. The idle cycle of boiler (when no heat or hot water is demanded) is about one burst of several minutes every 3 hours. This just maintains the boiler's water temperature in its operating range. At a nominal 1.65 gallons per minute burn rate and with the current price of heating oil, that amounts to some $3.00 a day every day of the year! So there is some incentive to continue this project, potentially saving money (for ham work, of course), saving the environment, and having a little fun by the way. Many thanks to Plat'Home for their support. See New York Times article. The prospects for "Cycle 24" are especially interesting for hams who use the "high frequency" (HF) bands, 3 - 30 MHz. We need those sunspots! 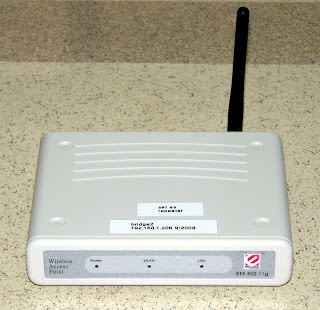 This is an Encore ENRXWI-G "Wireless LAN Extender". I needed to extend my home Ethernet into the basement, for a project I'll describe later. 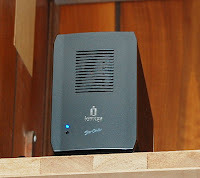 For about $30 (newegg.com), this box saves me an hour or two struggling in my crawlspace for CAT 5 installation. That's a fair trade, I'd say! I bought two of them, with one as a spare. In addition, it turns out this is a Linux box. (If you're up to it, you can reverse engineer the system and flash it with your own OS. But I will let that exciting project go for now...) And it can actually be used as a full-blown WiFi access point and in a couple of other modes. The only limitation is its single 10/100 baseT Ethernet connection. I did try the "Repeater" mode with the second unit. Maybe this would help me get a better signal to the basement ENRXWI-G? My main WiFi access point happens to throw a shadow into the basement area that I am using, probably because of an intervening brick chimney. Moving my AP a foot or two seems to cure the problem, but could the repeater function do the same? I set it up according to instructions, and it seemed to help on the basement-to-AP route, but if anything hurt the performance (lost packets, etc) AP-to-basement. (puzzling) In any case, no joy. A WiFi repeater is probably more appropriate when your client and AP are truly separated by long distances, and the signal strength directly from client to AP is really weak. The AP-to-basement path here is relatively short. My transmission errors may be due more to multipath reflections than to weak signals. The only downside of this box, shared with most WiFi devices, is that there is a lot of setup required. The supplied documentation is about average, but many people will scratch their heads at some point when setting things up. In summary, score one for cheap Internet appliances. The "Wait for Extraterrestrial Intelligence" Program is off to a good start. I am currently a member in good standing of the WETI-at-home project, which runs at blazing speed, even with my PC in the "off" position. Check out the poster (PDF) for the full scoop. The ARRL (American Radio Relay League, the National Association for Amateur Radio) has asked for comments on its 2006 Strategic Plan as it looks to a future revision. My comments are attached below. ARRL members may view these and many other comments at the site www.arrl.org/members-only/stratplan/ . Many thanks to the League for opening up this discussion on the Plan with the full membership. This indicates a serious intention to fully engage the membership in future deliberations. A plan like this tries to define an organization's goals and activities into the future. However, this Plan does not appear to consistently distinguish strategic goals of the League proper from the goals of Amateur Radio community. ARRL can never be identical to Amateur Radio, which is (still today) a vast collection of people and activities around the world that will never, and perhaps should never, be subsumed by a single organization. Another way to say this is that the League has parochial interests, as a publishing house, as a sponsor of operating activities, etc., which may be competitive with other organizations and firms. Should the Plan define the League's role as (perhaps) first among equals, along with other Amateur centers of activity, some commercial and some non-profit? I think of CQ Magazine, AMSAT, and numerous other players. Actually, I think the League HAS handled this balance reasonably well. I would expect there to be more mention of it in the Plan, however. An organization preparing a strategic plan risks “preparing to fight the last war”. I see some signs of this in the Plan, as I will touch upon below. Threats to allocations. Yes, but do we have a strategic sense of how the competition for spectrum, especially at HF, is evolving? Is HF broadcasting going to wither away, or are the bands going to be full of DRM? Such “market analysis” should be a priority for the League. Membership lifestyle issues & competition from the Internet, etc. This is an old story by now! We need to look forward. In an era of pervasive computing and pervasive personal connectivity, where do Amateur Radio skills and culture fit in? If we did not have A.R., would it have to be invented? Zero-based analysis might help. Technical advances & spectrum allocation. There will be changes, certainly, but there will be opportunities. For example, look at the 2-meter band, which is completely “full” for channel allocations, but is almost always “empty” on my rig! A dynamic allocation scheme is needed. Hams can do this! “Defense” Some feel that much of what passes for “homeland security” is a bureaucratic and pork-barrel exercise, spending enormous sums without obvious security benefits. Amateur radio shines in response to local disaster communications, but we should avoid efforts to “professionalize” our “amateur” service. Integration with government agencies or even large NGOs (Red Cross and Salvation Army) is problematic, although the opportunities for service and glory may be tempting. ARRL must bring more clarity to these issues. Land use issues. The cost structure of ham radio is changing. Equipment is cheaper, but access to good physical sites is getting more expensive and troublesome. Beyond legal and legislative activities, how can the League realistically contribute in these areas? Intellectual property, economy of scale. This is particularly important for the League as a publishing house. The Plan should call for the League to support and coordinate (or at least get out of the way of) groups and individuals who are providing innovative publications, media, and Internet services. A narrow focus on keeping “control” puts you in the footsteps of the RIAA and MPAA -- suing your customers! The Plan should call for the League to leverage its substantial IP holdings for the maximum benefit of Amateur Radio. (Does a financial bottom line perspective conflict with the greater good of the hobby?) The League has many excellent publications, but they are not cheap. Bringing more of these on-line for the membership and prospective members should be a priority. The League should explore an enhanced subscription program, giving electronic access to the all current and historical ARRL publications, with a concession to new or prospective hams. Protect frequencies. Yes, but with flexibility. It is important to coordinate with other users where possible. That seems to be the current practice. The future is bleak? Some people will feel that way until there is a new “awakening”. I hope it is not limited to Emcomm or Homeland Security! They are important, but they can't be the core. Still, a lot of people manage to have fun on the bands in old and new ways. We should remind ourselves, ham radio has had a very long history of OF's thinking the world is going to the dogs. It's not new! Developing alliances, etc. This is vital. There could be more active partnering with major (and minor, but innovative) manufacturers. (One would even include potential adversaries, as in the BPL story.) Could the League have an “incubator” program for new technologies, supporting hardware and software pre-commercial R&D? QEX and DCC already have overtones like this. What is unique? 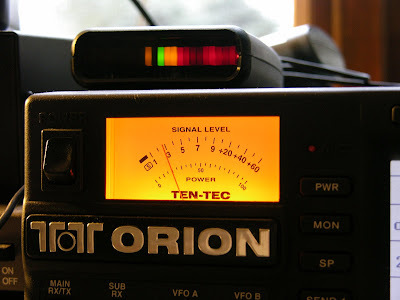 One suggestion is that we should get over our assumption that Amateur Radio = an FCC license! There is a lot of room for unlicensed radio operations, nowadays, and we should ally with anyone with this technology interest. Likewise, there are lots of electronics experimenters who don't have radio as their first interest, but who might want to get licensed eventually. E.g., people who do robotics or computer networking. It is hard to argue with this list, except it largely repeats the status that the League already has achieved. What the hobby needs, the League needs, and the Plan should support, is EXPANDING THE ENVELOPE of Amateur Radio. I'd have an education / personal development “value proposition”. I would emphasize continuing education in the radio/electronics/computing/networking arts, including associated engineering, physics, and mathematical disciplines. There should be something here about ARRL's position in the marketplace, as a publisher. Is this not part of the Vision? To be a top quality supplier of technical and operating information, etc. Working with other publishers to assure a viable market into the future? Providing world-class Internet resources? To advance and advocate A.R. OK, but the big question is what will amateur radio BE in the future? “be recognized as the SINGLE VOICE of Amateur Radio...” That's going too far as an objective. (It is largely true, even now, of course.) Some level of cooperation and co-existence with alternative Amateur Radio groups (often specialized ones) needs to be recognized. Goals A-C say “ARRL will be...” I would rather say “ARRL will have earned the status of...” That is, ARRL can't take this status. The Amateur Radio community has to grant it. Goal B could be interpreted as suggesting a level of monopoly control for ARRL! I would be happier if the League were to recognize the existence and contribution of other organizations and players in the field, and furthermore to pledge cooperation with them. On balance, these long range goals are rather modest, since it could be argued that the ARRL has already achieved them in good measure. One should not ask too much of a Strategic Plan. Despite any Plan, the future of the League and of Amateur Radio will depend on many unforeseen events and technical developments. The League's best stance is to be open, receptive, and responsive to new challenges while staying in close contact with its membership and all radio amateurs and their friends. This blog post is really worrying. How many of us in science and technology did not get our start experimenting in the basement? 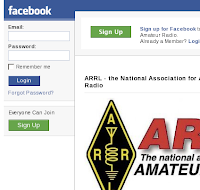 The ARRL now has a "page" on Facebook. You can see it at http://tinyurl.com/642oj3. Right now, the League has 38 fans on FB, including myself. Lots of upside potential there! There are a number of resources already there: videos, pointers to other stuff. As this is a "social networking" site, the value is (or should be) in the interactions between fans and ARRL personnel. Will this draw in multitudes of new, fresh ham recruits? Time will tell. The Station recently acquired an Iomega "StorCenter Network Hard Drive", which is an NAS (Network Attached Storage) device that comes in a sleek Iomega-ish dark green case. Inside are two 500 GB hard drives that can run as a single 1 TB drive in JBOD mode (look it up!) or in RAID 0 mode (look it up too!). Because I intend to use it for backup, reliability is important, so I will probably run it as a 500 GB RAID 1 device, where the two drives mirror each other. The Iomega device is reviewed here. Unfortunately, the review does not focus on the NFS protocol supported by the device. That is important for me, because we are running Linux primarily. As it turns out, while the Iomega NAS runs Linux internally, it does not provide fully Linux-friendly NFS export. User and group IDs and protection modes do not behave as they should, as I would have it. However, it does provide an amazing amount of functionality for 2.8 cents/MB. If the NFS personality proves too troublesome, we can always remove the drives and put them in a new Linux box and run NAS any way we want. For those few who may be keeping track, here is the OS/distro count at this QTH. The last maneuver, before chucking it all and buying a Macintosh, was to install Ubuntu 8.04.1. That worked very nicely! Ubuntu's philosophy and handling of multimedia, not to mention its documentation, is very appealing after the frustrations of Fedora. Fedora is cutting edge, and often has put me into situations where I had to learn more than I wanted about Linux arcana and spend days making things work. My "big" desktop Fedora system may be next to switch. Unfortunately, there is a lot of stuff to be re-customized in a new environment, beginning with VMware. Tom Frenaye, K1KI, convened a meeting of ARRL Club officers and ARRL field appointees on Saturday, June 21, 2008, in Leominster, Massachusetts. A fine day, a fine location, and lots of discussion. QST's slogan since its earliest days tells us that the magazine is 100% for ham radio. In the early years, there were many radio and electronics experimenters' magazines, and it may have been necessary for QST to make this special claim to set itself apart. For newer hams, it may be hard to imagine what the “radio” world was like in those days. Radio was a new and very exciting development. Not only hams were involved in radio. There were many radio enthusiasts who built and tinkered, but only licensed hams were organized around two-way communications. I was recently reminded of the broad appeal of early radio when I was browsing a 1920's copy of a New Haven newspaper. I came across an article with a schematic of a vacuum tube receiver you could build yourself. Radio and electronics were so new and interesting that an ordinary newspaper would run an experimenter's column. So ham operators, who were newly recognized by the Federal Government, needed a QST that was “devoted entirely” as the special place where technical developments for ham communications could be nurtured along with operating activities. It was important to set that boundary. In the 21st century, what should QST's focus be? Conditions are very different, we hardly need to say. Electronics technology is vastly richer. (Think digital television, Internet, cell phones, and computers in general.) Amateur Radio technology has developed greatly, and we have many new operating specialties, too. But despite the incredible possibilities for today's hams, maybe 90% of what we do now would be perfectly understandable to a ham operator of the 1930's. There is voice (now SSB and FM, mostly) and there is CW. There is DXing, ragchewing, and message handling. Our gear is much more capable and cheaper, but most of us are doing what our fathers and grandfathers in the hobby were doing. Except that ham radio (as most of us practice it) is not so much a new and coming thing, as it was in the 1920's. New things are happening, of course, but for the most part we are applying technologies that are primarily aimed at consumer electronics. The largest impact is from digital technology, especially computers and signal processing, and there is also the Internet. Current rigs are fully solid state, but your cell phone, TV, or PC has much more advanced technology than we have on our radio desks. Except that young technical wizards have a lot of options beyond ham radio. Our kids are captivated by the Internet, iPods, and all. They are immersed in gaming and computer social networking. Those who are especially talented in a do-it-yourself way often find their way into computer programming. Not many tinkerers are working with radios and antennas the way they might have 80 years ago. Yet there are non-hams who do fiddle with technology in the way hams have always done. How about the folks who are breaking distance records with unlicensed technologies like WiFi and Bluetooth? How about the people who “hacked” the iPhone (a radio!) to allow exotic software to be installed? How about the developers of the Linux operating system and other major open source software efforts? Some of them are hams, but many are not. They share a common attitude with us toward technology work -- improvising, tinkering, and sharing ways to advance the state of the art. So why are we “devoted entirely” these days? Yes, there are many things hams do that no one else does -- particularly in the operating sphere. But in technology (the newly discovered “fifth pillar” of ARRL! ), we are not so unique. We shouldn't want to exclude non-ham content -- as a matter of fact, we should really want to draw in new potential hams. Why isn't there a journal (paper or online) that emphasizes Amateur Radio, but also includes interesting practical and theoretical articles for the experimenter -- whether about digital TV, cell phone hacking, programming languages, DSP, or a host of other technical areas. It would help bring non-hams into our hobby, and it would be an enjoyable and educational read for hams as well. I admit I have the old Popular Electronics and Radio-Electronics magazines in mind. They were very influential for me at a certain age, but they are long out of business. (Still, they are worth a Google search.) Currently, Nuts & Volts (www.nutsvolts.com) and Make Magazine (www.makezine.com) come close. Should the ARRL be in this space, too? It would be a recruiting tool, and it would be perfectly in line with our goals for technology development, education, and public service. So what's up with our Sun? Is it going through a depression? It seems as if our closest star is experiencing a surprisingly uneventful couple of years. Solar minimum has supposedly passed and we should be seeing a lot more magnetic activity, and we certainly should be observing lots more sunspots. Space weather forecasts have been putting Solar Cycle 24 as a historically active cycle… but so far, nothing. So what's the problem? Is it a ticking bomb, waiting to shock us with a huge jump in solar activity, flares and CMEs over a few months?  Or could this lack of activity a prelude to a very boring few years, possibly leading the Earth toward another Ice Age? Interesting discussion about the Dayton Hamvention -- the awful state of the facilities vs the heroic work of the Dayton Area Club who put it on, etc. -- over at K9ZW's blog. I went through the "shame how shabby the facilities are" phase last year, I think. This year, I was feeling more mellow. I enjoyed the whole experience. There would be a lot to be said for moving to a "professional" conference center, as I understand they have at Friedrichshaven show. I was speaking with a German ham at Dayton, and asked him to compare with the German show. He said the physical side of things was much better, but that they did not have nearly the same attendance from vendors. And, of course it would be a lot more expensive to attend. So maybe we need to hop over to DL-land next year. Thanks to Ben N1WBV for a reminder to update SSH keys for Debian (and Ubuntu) Linux systems. This is a nasty bug, because lots of systems will be slow to get the word. It's not just a matter of updating files, as most bug fixes are. As I understand it, you have to regenerate your keys and even worry about keys stored in known_hosts files on destination systems. Finally! My mother's old iMac has found a new life on my operating desk. After a number of false starts with Ubuntu and Fedora, I installed extra RAM and Debian's PowerPC Linux, which is now running as an X Terminal against my Fedora-based main computer. This allows me to see my logs and digimode displays on the same desk with the radio, making things a lot more convenient. 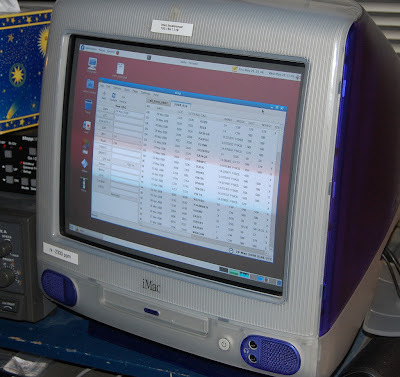 As a Macintosh, the computer only ran MacOS 8.6, which was nearly unusable for modern Internet work. I celebrated on 20 meters, working 3D2A (my first Fiji) and then K9QS/0 (the latter with 3.4 Watts output). 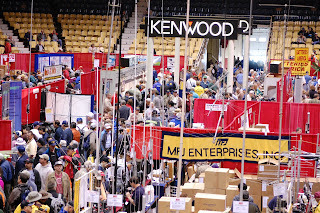 Lots of people report on the Dayton Hamvention. Why should I be different? I have a set of photos over on my Flickr area. That new SteppIR "Dream Beam" really dominated the Hamvention skyline! Each year (this was my fourth), the experience has been different. Still the same masses of people, indoor vendors, flea market people, and seminars. People say that vendors and attendees have shrunk a bit. It wasn't obvious to me. I like to "shop around" at different dinners and social occasions. This year, the ARRL reception was very good (for Diamond Club "gold" donors -- take the plunge!). I tried out the QCWA dinner -- good film about the Wright brothers, but not much amateur radio content. The food was disappointing. The next day was the Contest Dinner, which was something else again. I have stayed away from contesting activity, preferring the quieter type of QSO (I'm keen on SKN), but these folks were very interesting. I sat at a random table, full of folks who go to exotic places for the big contests. Lots of energy, spirited discussion. The food was a couple of notches better than the previous night, but it was definitely still for the steak & potatoes crowd. And I won a nice door prize. Maybe I'll check out some contests! Some photos from earlier postings seem to have vanished. I hope I can sort this out quickly. Update: Some photos from before 2007 got lost in a server shuffle. I think I've restored them all now. Blogger's photo archive is a lot easier to use than what I had in those old days -- having to put photos on a private server. So no one reported this...? Here's a little plug for "The K9YA Telegraph", an electronically published free magazine about Amateur Radio. This time I sent a plain text message, with an attached photo. That did the trick for the simple case, but I don't expect I can intersperse text and photos. 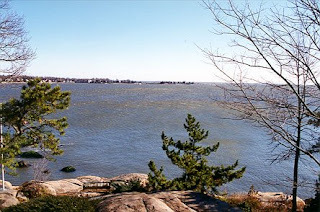 This yet another test of the blogging system. This time, we publish to the blog from an e-mail. Question: Does the HTML get interpreted correctly? Do links show up the way they should? This entry comes to you through the "gnome-blog" posting program from my Linux environment. If you can read this, it does work. I have also tried BloGTK 1.1, which looked even more promising, but it does not seem to give good results with Blogger.com sites, which this one is. It does not treat titles correctly, for example. Note added: Gnome-blog also appears unable to set an article title. So, maybe it's not going to work out. Both taken with a Nikon CoolPix 8700, 8 Mpel, 4 second exposure, "fine" resolution. 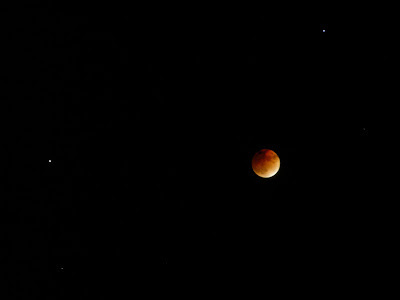 71.2 mm focal length, f/4.2. Again, if you click on the photo, you should be rewarded with a higher resolution view. The program is developed for Linux and other Unix-like environments, but could readily be adapted for other operating systems. For mailing labels, qrzpy supports 3 x 10 standard stick-on label stock for your LaserWriter or other printer. Alas, the QRZ.com address data may sometimes overflow the space available (see photo), but such exceptions are reported to the user. Like most of my Python adventures, it's about the journey of discovering how to do things and perhaps to help others figure out Python programming -- as much as it is the final product. See my software page www.aa6e.net/software for further details.